Malicious software can redirect your Web browsing in several different ways. There could be an infection on your machine that is responsible for monitoring both outgoing and incoming requests and then interrupting your Web searches or the URLs you type into your browser's address bar. As part of any website hacked process, a code gets injected into a website server redirecting those visiting a completely new location, even if their own system has been protected. Hackers can also install more benign malware types as browser extensions or toolbars capable of stopping search queries and then displaying an alternative results page that is filled with sponsored content and advertising. A hacked website is mostly obvious through visual checking. The hacker might have placed a big banner on your site saying "Hacked by _____." Or the website redirects to some "inappropriate for office" websites. Website redirects are mostly caused by adware and various types of malware existing in your computer. The goal of these unwanted programs is to point you towards specific types of advertising or a dangerous code that could further damage your system. The best way to handle this situation is by removing the harmful malware from your computer using a reliable security package such as cWatch developed by Comodo. Comodo Web Inspector performs website scanning using enhanced, cloud-based malware scanning technology. It enables detecting security holes and vulnerabilities and also searches for malicious codes on a website. It monitors a website for blacklisting and sends warning before a website gets blacklisted. Some of its features include daily malware scanning, blacklist monitoring, and PCI compliance scanning to mention a few. 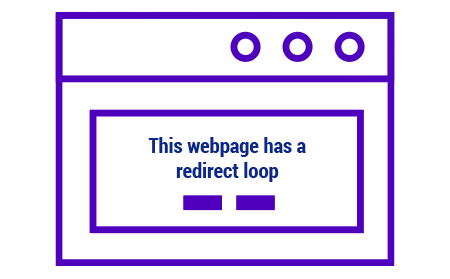 In the future, you can prevent website redirection issues by setting your security applications to automatically update themselves and run system scans at consistent intervals. This indeed can be achieved by installing cWatch that is powered by an enhanced analytics-driven SIEM process that can examine event data in real time providing security intelligence for early detection of breaches and threats, rapid incident response times, compliance reporting, and log management.